My first ever needle case, still in use ! As the school summer holidays are nearly over, some parents may be thinking about which After-School activities their children will do in September. 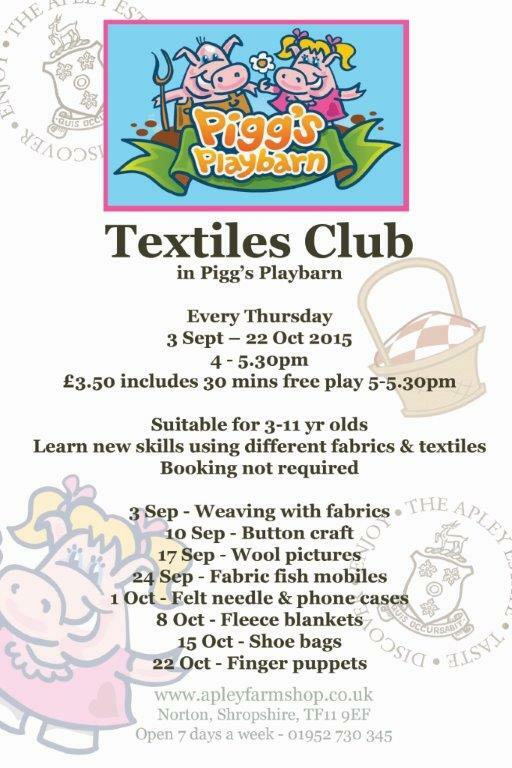 Tying in with the current sewing revival, for a creative hour every week, just drop in at Pigg’s Playbarn at Apley Farm Shop on Thursdays. I’ve made most of these things at home in the last 10 years with our own children, so I know that other children will also really enjoy doing them. 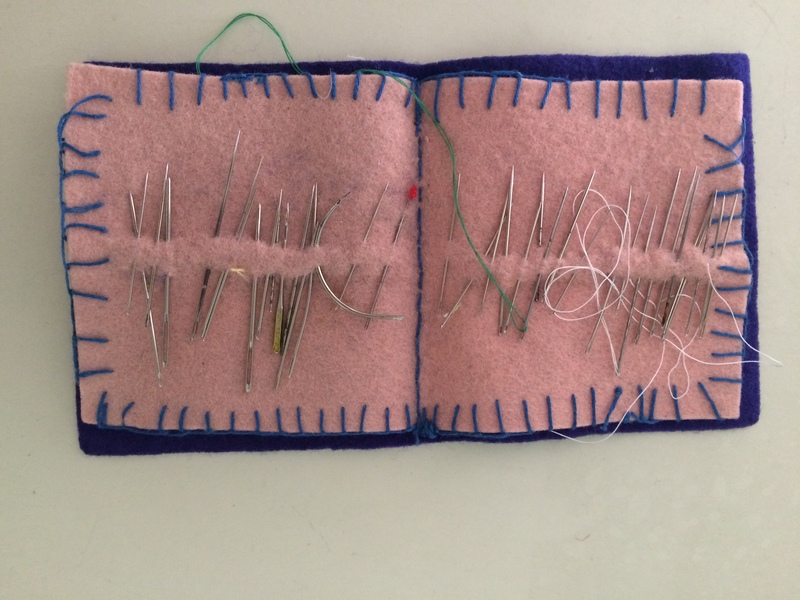 I even still use the needle case I made when at my first school (here it is ! ), but I think my blanket stitch has improved since then ! Here’s the leaflet with all the details. I’ve got bags of fabrics which I’ll give to Amy, our Playbarn Supervisor who will be running the club. There’s no need to book, so it won’t matter if you can’t make it every Thursday.